Updates include reorganized lessons, detailed sequence for each lesson, literacy strategies, and a suggested calendar. Help your students tap into their creative potential and craft the best story they've ever written! In this Common Core aligned unit, your students will create an authentic 6 – 10 page short story that allows for nearly total creative freedom. 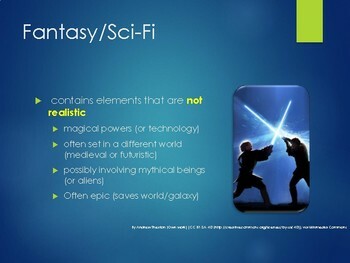 Their story will include authentic characters, vivid settings, believable conflict, and a balanced plot. Each PowerPoint lesson includes an attention grabber, lesson content, cooperative activities, individual activity, and exit pass. 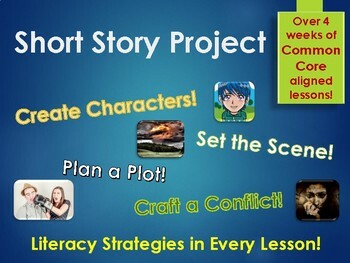 Most lessons also include a specific activity to help students plan a portion of their short story. 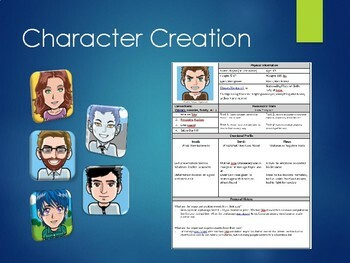 The lessons use a variety of teaching resources including a creative way to invent a character and become immersed in their life. 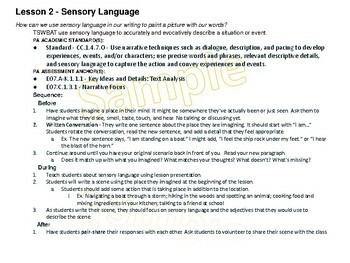 The unit includes answer keys for worksheets, and rubrics for extended assignments, including the final short story.